As president and CEO of ESJ Capital Partners, Arnaud Sitbon oversees a commercial, residential and educational real estate portfolio valued at $700 million and totaling 3 million square feet. Mr. Sitbon co-founded ESJ in 2007, just before the world financial crisis. In ensuing years, he led the company – ESJ stands for “equity,” “syndication” and “joint venture” – to exponential growth. He attributes the success to patience, observation and humble but decisive strategy. “You have two types of real estate investors: the ones who have a vision, and the ones who have the knowledge,” he said. “I always told my team, ‘Let’s assume we don’t have the vision and try to understand exactly where the market is, where it’s going, analyze all the data and try to understand what the next trend” will be. ESJ’s portfolio includes retail and office space, as well as charter school properties throughout Florida and regions of North Carolina, Utah, Arizona, Ohio and Washington, DC. Signature among ESJ’s South Florida properties is Jungle Island, on Watson Island off the MacArthur Causeway, which the firm purchased last year and hopes to develop into one of the area’s most stunning attractions. Before co-founding ESJ in 2007, Mr. Sitbon operated Flore Invest, which he founded in 2002 to invest in prime South Florida properties including the 200,000-square-foot Shops at Mary Brickell Village. 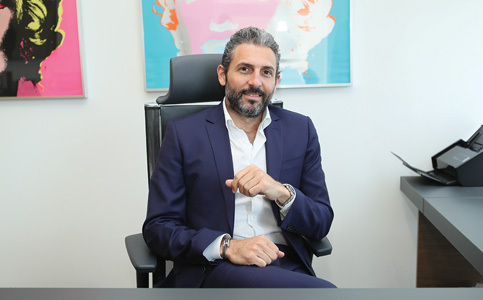 Prior to relocating to the US, he was involved in managing Finvorest, a French investment group that owns and manages over 1 million square feet of office and retail properties in Paris. A Florida real estate broker and certified commercial investment member, a designation held by just 6% of commercial real estate practitioners, Mr. Sitbon sat down with Miami Today reporter Jesse Scheckner in his Aventura office last week. The interview was recorded by Jahmoukie Dayle and can be found Friday at http://bit.ly/2uNHy0Q.